Until now, all the Benchmark analyzes pointed to the fact that the iPhone X was the most powerful smartphone on the market with a very high score in both the Single-Core section and the Multi-Score section. 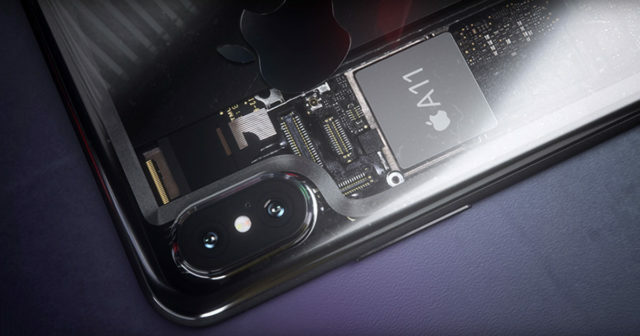 In fact, in tests conducted, it was shown that Apple's iPhone X was more powerful than the Samsung Galaxy S9 range of 2018. Despite having lower technical specifications , Apple's iPhone usually offer greater performance. Well, it turns out that a new Android terminal has exceeded by a wide margin the iPhone X Benchmark tests of AnTuTu made. We are talking about the Huawei Mate 20. A new filtration carried out by China's CNMO blog has revealed that the Benchmark scores of the Huawei Mate 20 and its Kirin 980 chip have reached the scandalous figure of 356,918 points. Your Kirin 980 chip will use Cortex-A75 high-performance processors , with a much more powerful GPU and a second-generation NPU. These components will be manufactured by the TSMC company through the 7nm process. According to the test, the score of 356,918 is the highest found on any smartphone. 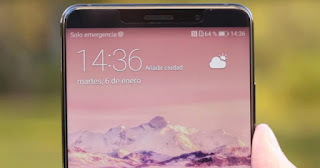 But the bad news is that the Huawei Mate 20 will not be released until the end of summer. 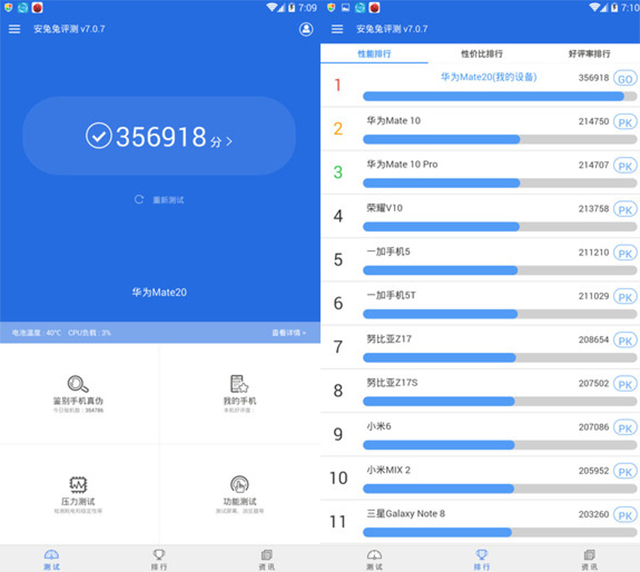 The score obtained by the Huawei Mate 20 in Benchmark tests is unprecedented, its performance will far exceed not only the iPhone X of the apple company bitten but also the rest of Android smartphones in the market.